I’m aware that I haven’t written a lot about the learning content of the kids for a while. 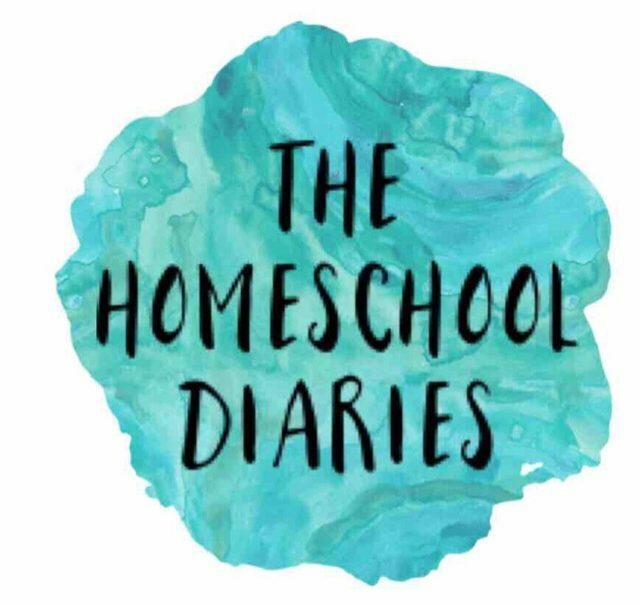 At the moment the usual homeschooling is undergoing a slight hiatus for certain reasons, with a focus on specific academic areas. And that’s not fun to write about – but I do hope to come back here to share and write about a plan I have had with the boys, at some point – should it go to plan! (The hindsight thing!) But in the meantime, there were some thoughts I wanted to jot down… somewhere.. so I have found my way on here this evening. A sister that used to live near me, recalled this evening the time she spent with me during my most insane years of parenting life. The years of conveyor belts of nappies, scrambling through fridges looking for anything that could be pureed and never being fully asleep, nor fully awake – tired of sleeplessness, tired of spills and grubby hands. She didn’t mention all that – but that’s what I thought when I flitted back to that time in my mind when I harked back to a decade ago. The ‘conveyor belt years’ are temporary. I remember hearing about some city/investment bankers, whose jobs required intensive, long hours in the city. When they were talking about how they progress in their careers, one mentioned how this is never a job you do for long-term – you work like crazy, make your money then leave to retire early. What does this have to do with parenting? Well, without being the bearer of bad news, early retirement isn’t what I’m talking about as a parent here sadly(!) But I do mean to highlight that you can’t, and won’t, do an intensive, physically and mentally gruelling job forever – for your own sanity, and neither does parenting require you too. Of course there are parents who are tested with children with long-term health issues (may Allah make it easy for them) – but I guess here, I mean the baby and kiddy stage. When you are in the thick of cleaning up spilt rice and cheerios, daily, hourly, it may feel like it will never end. But as a parent who is starting to come out on the other side of that side of parenting (still not found my way out totally yet!) – I now know this intensity doesn’t last forever. Sometimes I read about mums who feel realy down about how physically drained they are, how they feel like machines, that they are restricted in where they can go/what they can do because of busy toddlers and crying babies. But the thing is, honestly, before you know it these restrictions will be over. You will be looking back, trying to pry out memories from this haze of a period, as you watch on from another period in life. So as patronising as it sounds – enjoy it, as much as is possible, but also remember the end is near – so do not despair. You will retire .. sort of, from the nappies anyway! All Islamic knowledge is important and of value. But looking back now I realise that I spent a lot of worry and stress on ensuring they had ‘learnt’ certain things when in those earlier years, really what mattered was (of course that they steadily progressed in their reading, memorising etc) but that they really built a familiarity, love and connection with the Quran, the Prophet SAW and of course; Allah. This wasn’t always by going through Islamic curriculum – in fact I stopped using such type of teaching books. But by constantly weaving through stories, anecdotes, chats to build a strong foundation, and mental and emotional connection. I now realise that by establishing that, it is a whole lot easier to then get them to learn about the names of all the Prophets, or certain aspects of the deen, etc, as they are motivated and genuinely interested which means they retain more. It’s simple – if they love Allah’s book, they will be inclined read it and memorise it – and then your job, will be done, inshaAllah. So if you are stuck for time, or their attention in their early years – always go for building love of Allah and his deen. 3. Homeedders – it’s all ok! You might feel like you are detonating inside when you hand your child a sentences worksheet, instead of teaching him the concept through brightly coloured word blocks beautifully laid across the floor in an enticing activity. We have all been there and done that. I’m not putting down finding interesting activities/methods to engage our children – but at the time we can inflate the impact of something more than it actually is. If you have a general ethos in your home ed that you adopt a certain approach, your kids really won’t remember the not so regular times when you just told them to copy some stuff out or answer a worksheet. In the larger scheme of their home ed life, certain conveniences and short cuts you might have chosen to take on off days – really won’t have etched irreversible marks – honestly. But the stressed out momma, or the snappy mummy is what they will remember. I tell myself this time and time again, but it is really hard to adopt that approach as the pressure to educate well, always hangs over you. My advice though – look at the goal, the bigger picture you are trying to achieve, where you hope to get to with their education overall, and don’t let what happened yesterday not going your way from keeping you moving (I need this advice myself, daily). I actually have a picture in my head of my son as an adult in a particular situation that I would love to see him in… I now think about that picture when something stresses me out and ask myself – will this thing that didn’t happen the way I wanted it to, affect him getting to that? The truth is sometimes, the answer is yes, and like all home edders know, there is a different level of yourself you have to give to home educate. But in short – often the answer is no! As not every single thing matters, so don’t convince yourself that it all does! I have the Muslim manners books, we read about akhlaq – but as we know as adults, the real proof in the pudding is what you do when you actually get angry, when you actually have to share, when you are tempted to be rude. Character building, I believe is one of the hardest things. Ever. But to try to attain the best result, to try to mould not so great characteristics into honourable ones requires us as parents – to be prepared to give reminders, show them the right way, have a quick chat after an incident, even when you feel there is no time, or you just don’t feel like it. The thing is character is how you are in life, and if you don’t think to address how a child feels in a busy charity event just as they are about to take out their money, or how they feel about Allah’s blessings, as you catch sight of a homeless person on the street corner; you will miss opportunities where openings present themselves to shape character. I’m not saying constantly lecture them at every turn, no. But take opportunities when they are faced by situations to get them to think and question how they feel. In my head I see it as building layers. Every thought and feeling is a layer, upon layer that gets built alongside people’s attributes and qualities to create character (that is I know very patchwork psychology, but hey I stress it’s what’s in my head!). It is how we as human beings react to what we see, hear, and how we feel that shape how we are. If we can nurture and guide that process as much as possible, inshaAllah we can have some impact. Saying all of this, I do believe some traits – as like with adults – are just inbuilt, and it can be frustrating when you see no change. But this is when we do what we can, and leave the rest to Allah. This is something I am struggling with right now. Linked to the above – I am constantly debating how much can I try and imbibe, how much is just the way s/he is, how much is this their innate character. It is a fine balance to achieve – realising we must accept the personalities of our children the way they are, and wanting to mould and nurture them. I think both are true for every child, but it is a discovery you can only make as a parent with each child. What works, what doesn’t. What are their strengths and weaknesses. But ultimately we must encourage them to become the best of who they are – as it is not us they will answer to and must return to – it is Allah. May Allah SWT help each and every one of us on our parenting journeys, and aid us to be an assistance to one another. To have or not have it all, for our children: That is the question! This was incredibly helpful! Jazakullahu Khayran for sharing insight based on your experiences 💓✨May your efforts be rewarded and your children and your loved ones be granted Jannah-tul-Firdows for all your hard-work being a super dedicated and committed mummy! Ameeeeen! And same to you and more!